We arrived safely in Stansted after a very smooth flight from Knock. Everyone had something to eat and now it’s off to have a look in the shops.  The flight to Lisbon departs at 17.40. 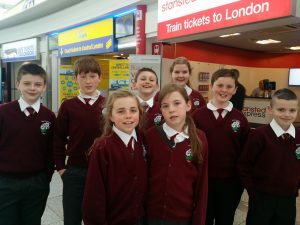 Gortskehy Primary on tour again!!!!! Enjoy & safe travels.